At B.G.T Lakeview Restaurant & Bar, you will have a different experience of Italian & Fusion food by the lake while enjoying the dinner with your loved one. If you are looking a getaway loads with delicious food and great ambiance, this will be one of the consider in your list. 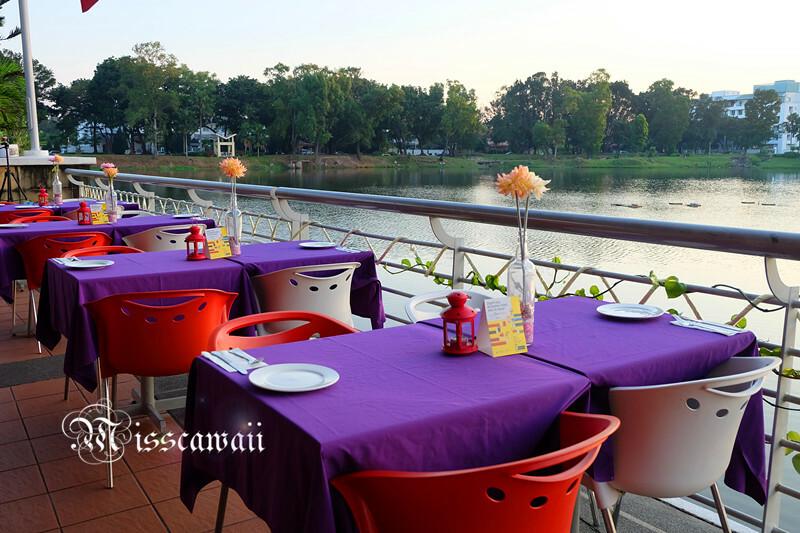 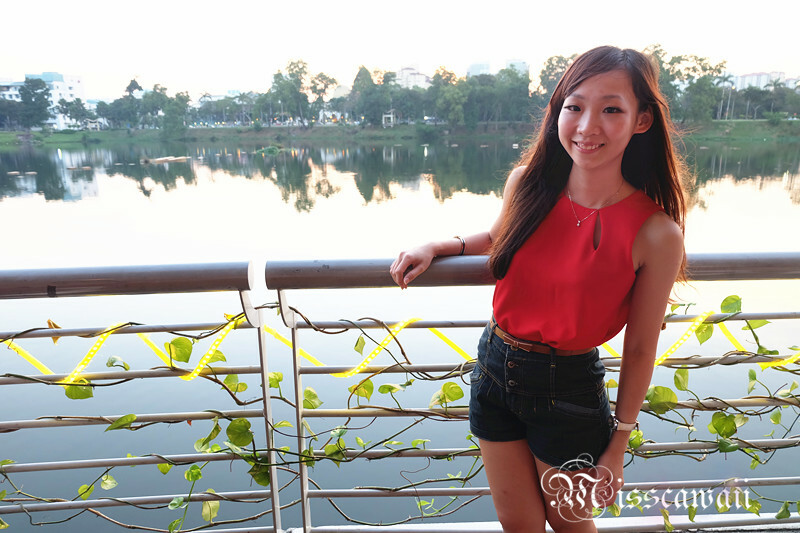 The restaurant is just right beside the lake and you can enjoy and dine without obstructing view of the lake. 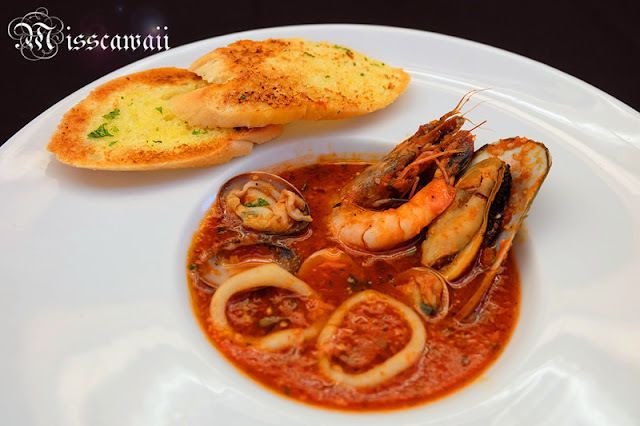 The setup in B.G.T is come with romantic and relaxing ambiance may give you a heavenly getaway destinations with your loved one during dine in. Thank you for the invitation from B.G.T and come over here for the food review. 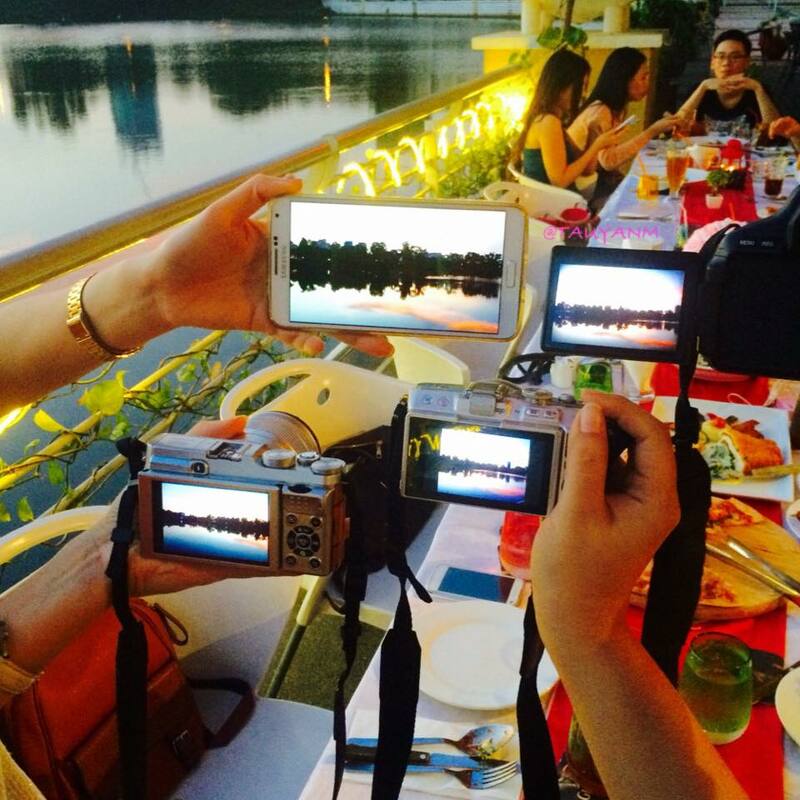 In the mean time, we try to take as much as photo we can with the beautiful sunset at here! 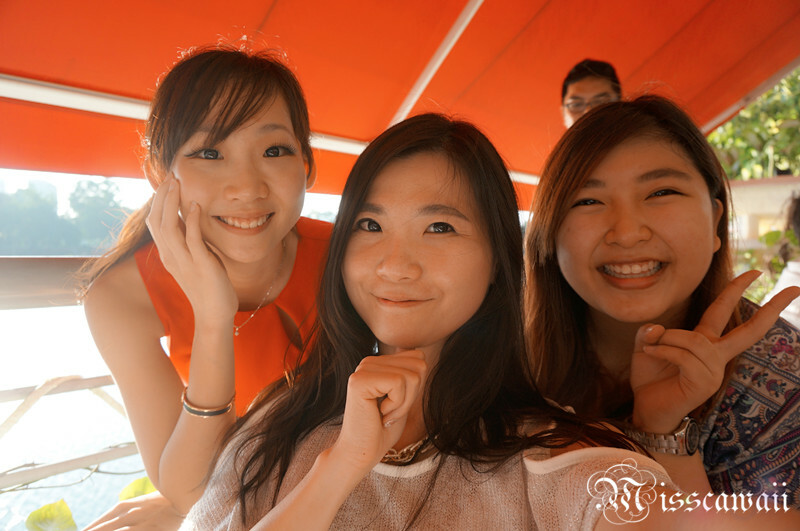 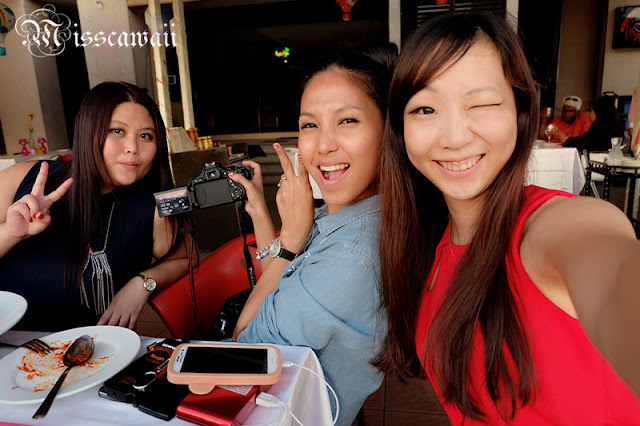 The most happy time is when we are gather here to share and talk while doing food review. 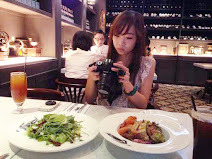 We start our food review with cold appetizer. 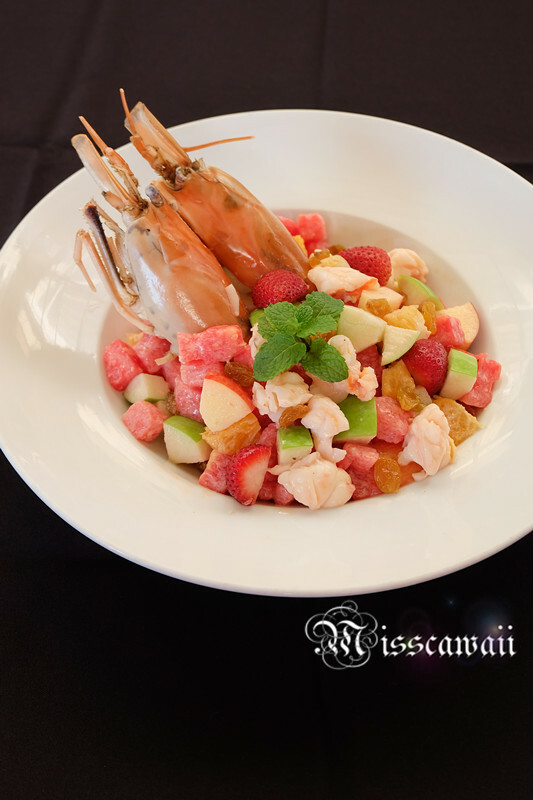 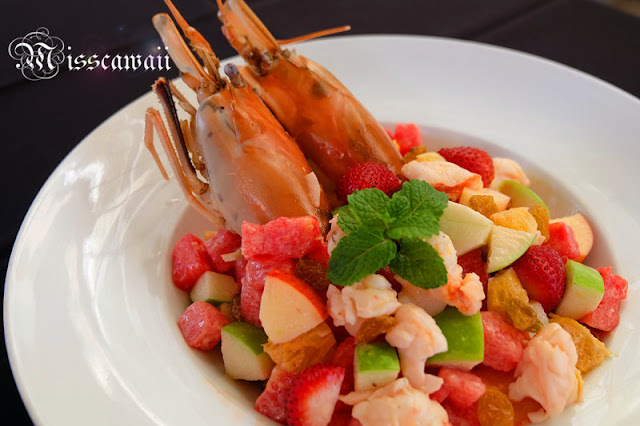 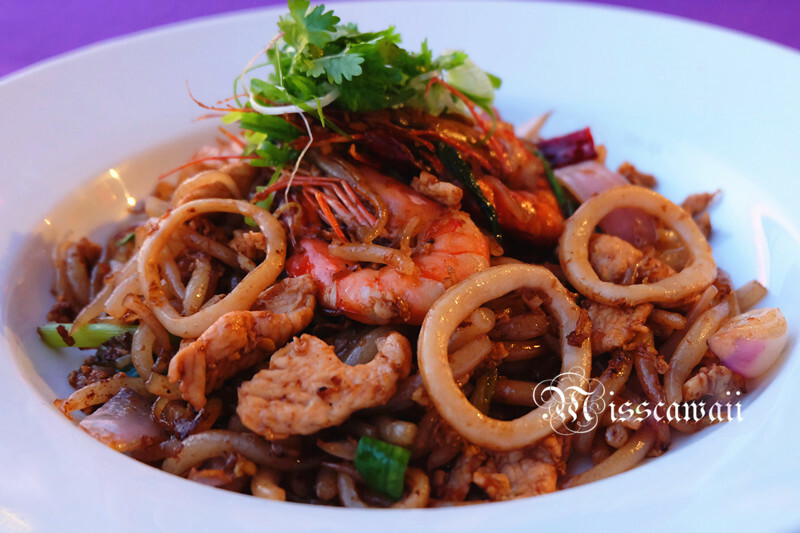 The meat of the prawns is fresh and bouncy, the taste is come perfectly when served with the mix fruits include watermelon, green and red apple. 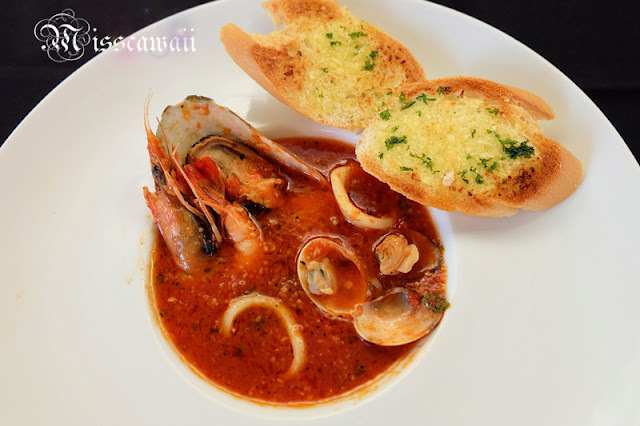 Seafood soup cooked in spicy soup based with mussels, squid, prawns and clams, served with two garlic bread for each soup. 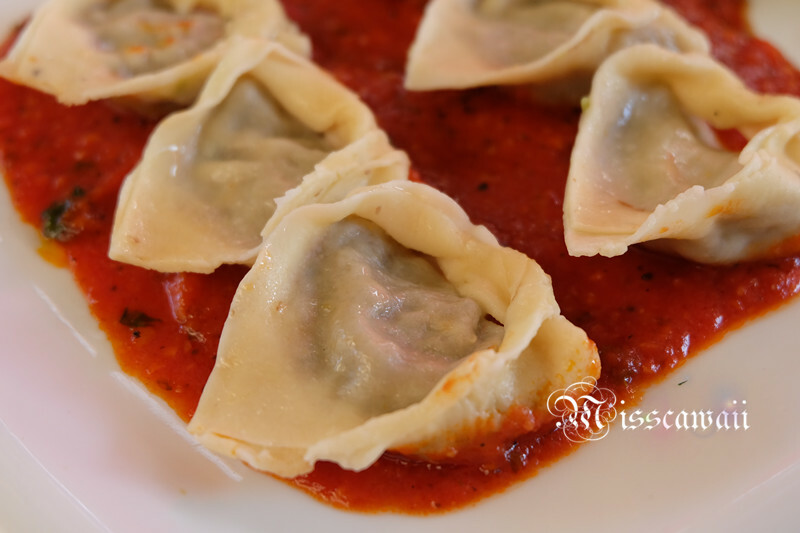 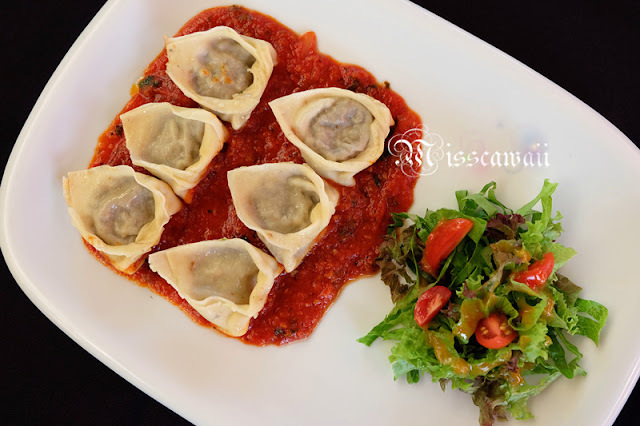 This beef mix with tomato sauce and served in dumpling. 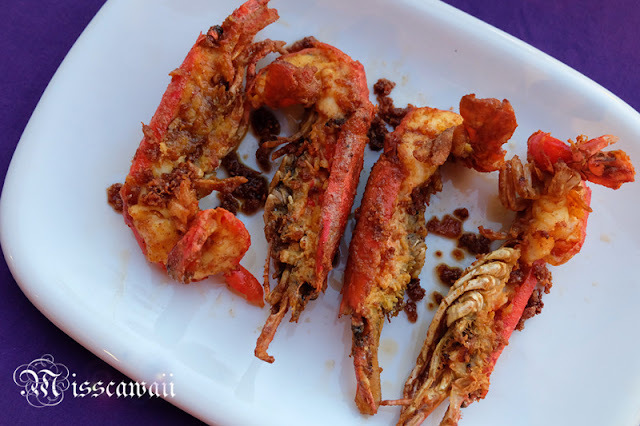 The king size of fresh water prawn cooked with deep fried and caramelized. 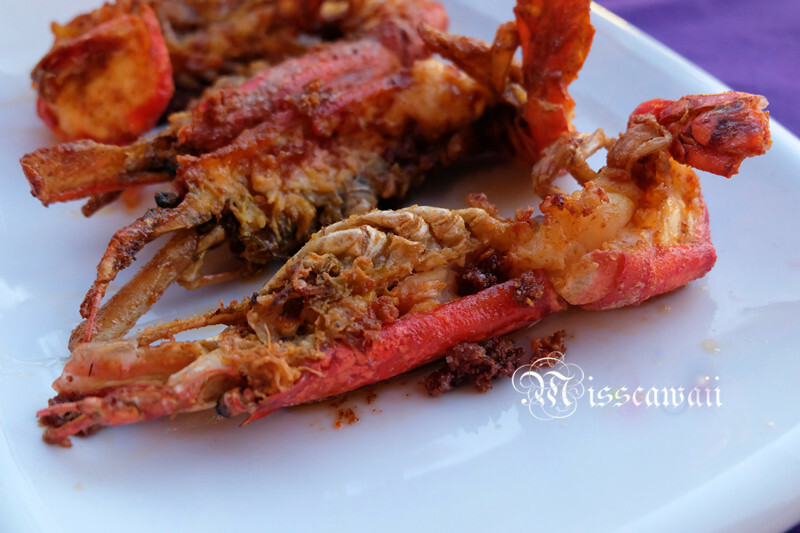 However, the meat still in bouncy and crunchy. 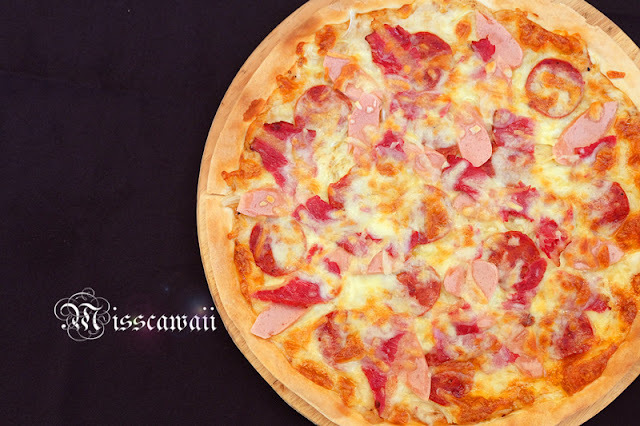 I like the pizza come with thin crust which is crispy, served with bacon, sausages and topped with cheese. 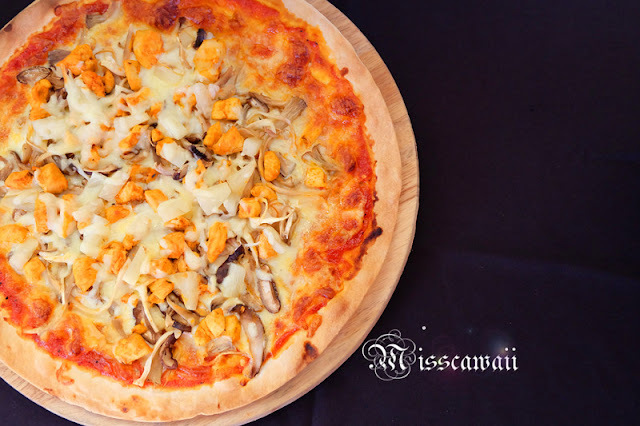 The most common pizza served in chicken meat, mushroom and pineapples. 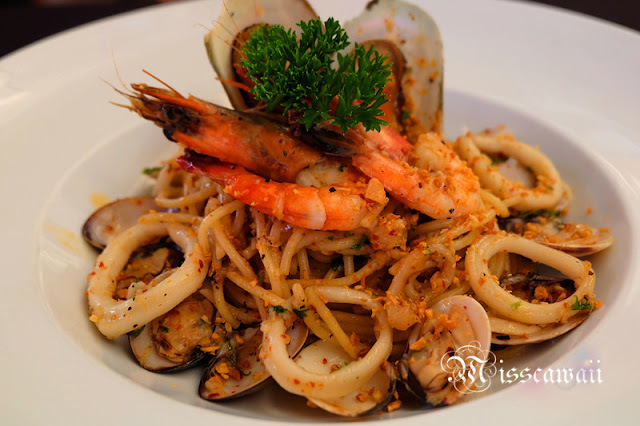 Spaghetti is cooked with garlic, come with prawns, mussels, squid and also clams. 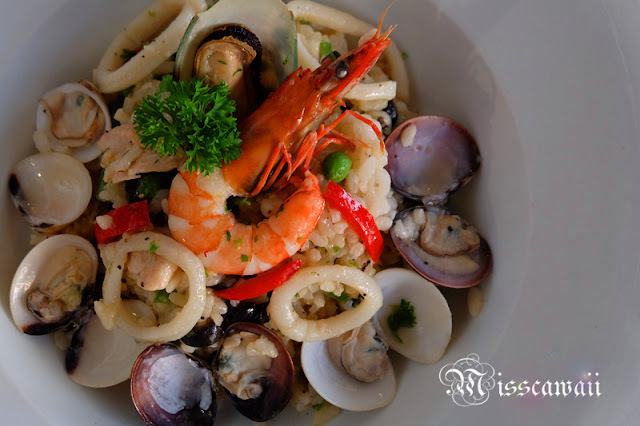 Another seafood dish again served with rice. 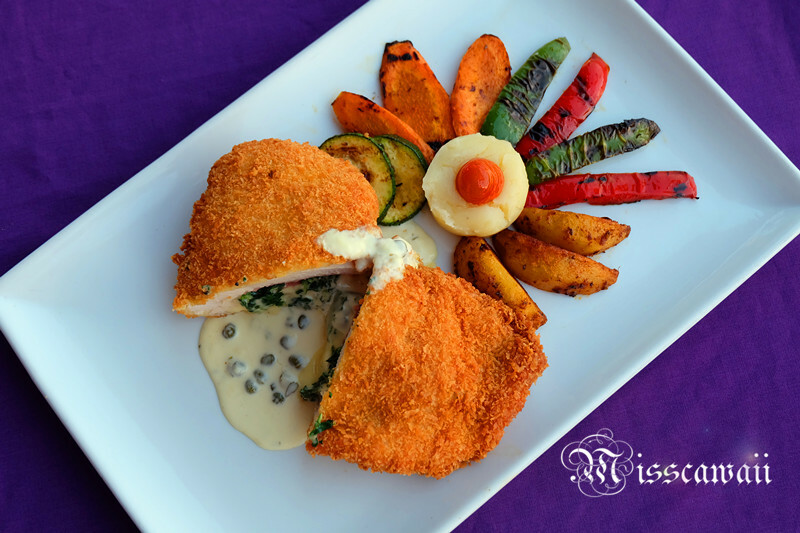 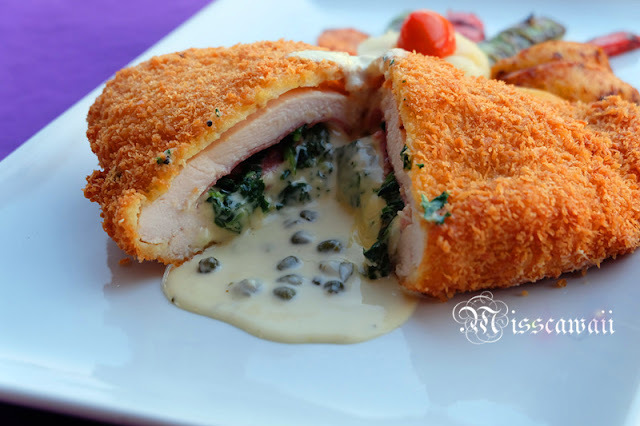 The chicken breast meat is fried and cooked with vegetables, cream sauce, served with pan fried potatoes wedges and vegetables. 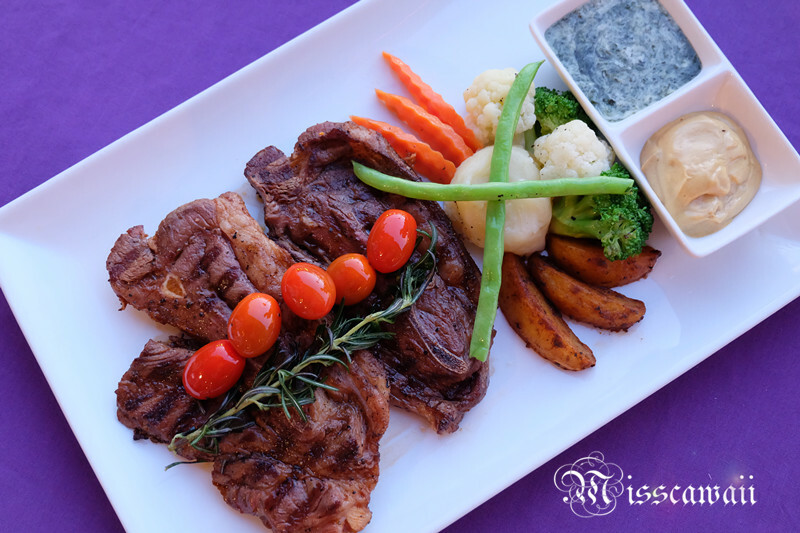 The meat is tender and juicy, served with mint sauce, tomatoes, mashed potatoes, and vegetables. 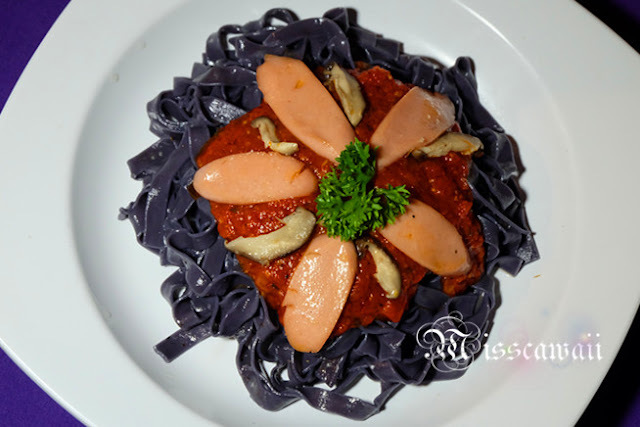 Here, you can try out their very own pasta which name as Rainbow Pasta. They are doing promotion "All-You-Can-Eat-Pasta-Challenge" served with complimentary soup, salad, drinks and dessert as well. 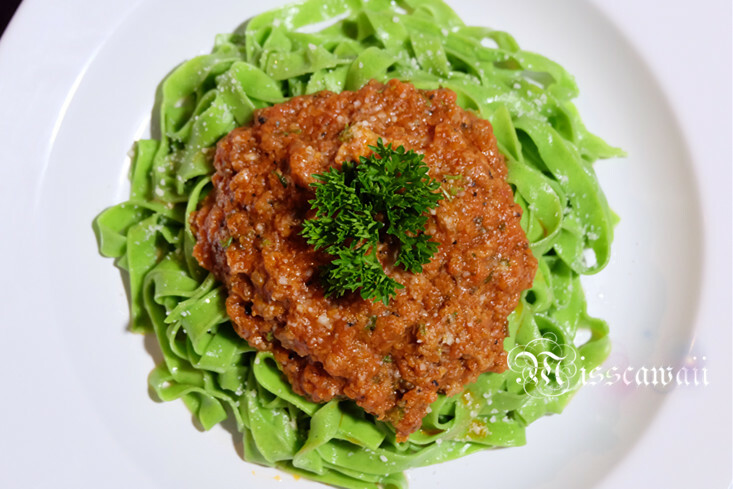 The Rainbow Pasta cost at RM19.90 nett. 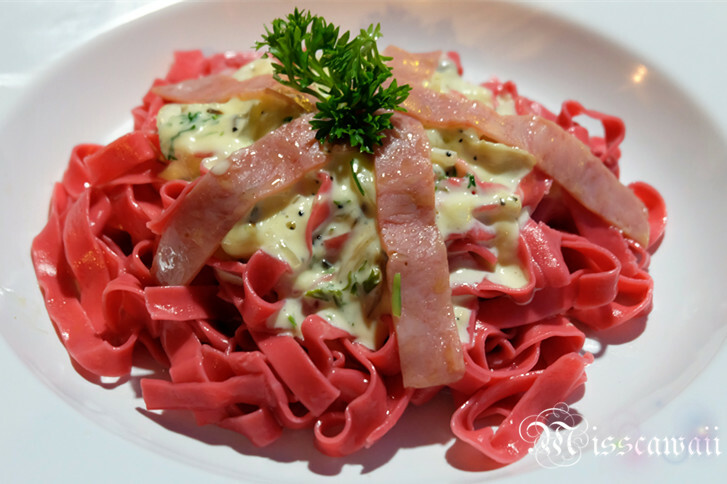 Tomatoes Fettuccine with turkey ham and carbonara sauce. 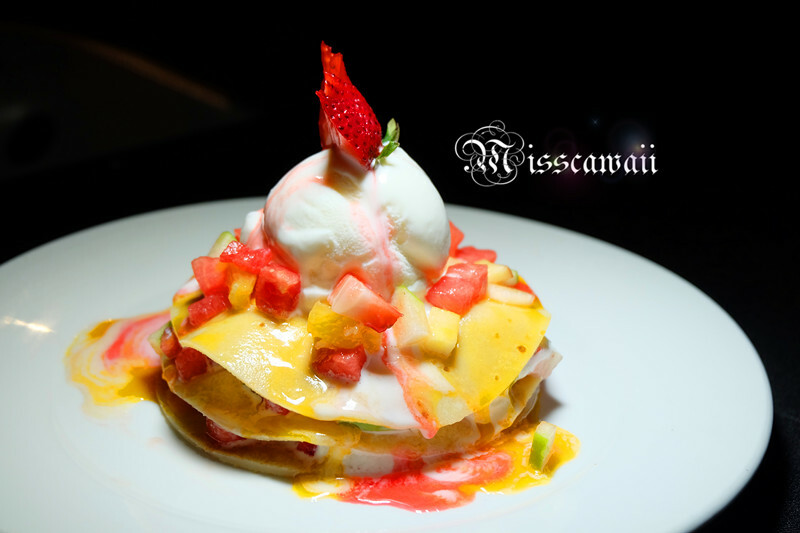 The crepe is pan fired with soft, served with cube fruits and one scoop of ice cream. 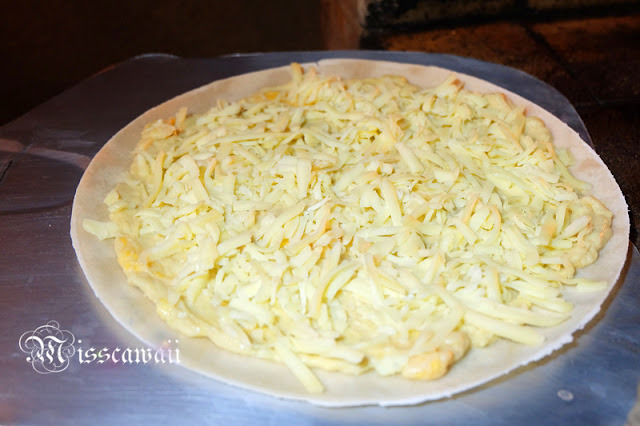 I do take a photo of pizza is on it's way to the wood fire oven. The pizza comes with a strong durian flavors and cheese melted on top after baked. Overall, I love the ambiance here where complimentary lake view during dine in. 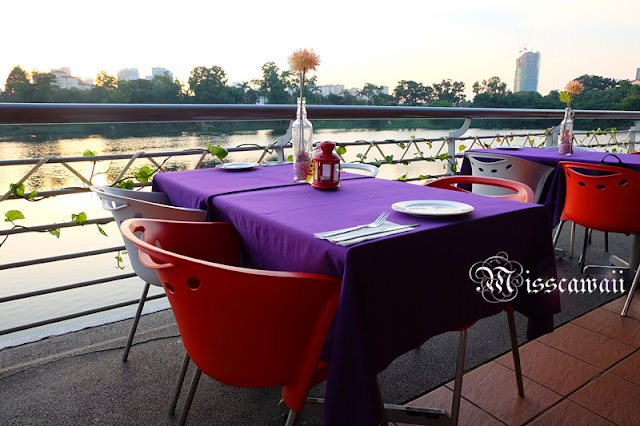 However, the restaurant is actually surrounding with the buildings and the air circulation is not really good here. I am getting sweat from the evening until the sunset is coming, I just getting better with the place. 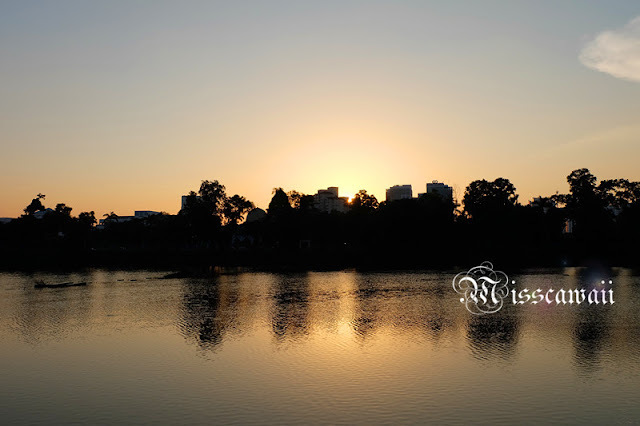 If you plan come for dining, ensure you are come when 7 p.m where to enjoy the sunset before the night is coming and also avoid the hot sun in earlier. 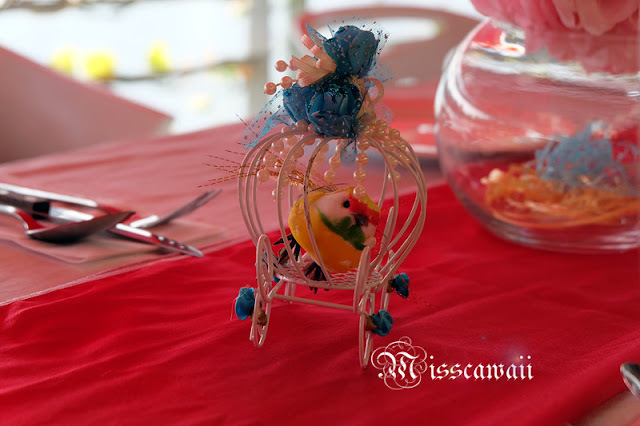 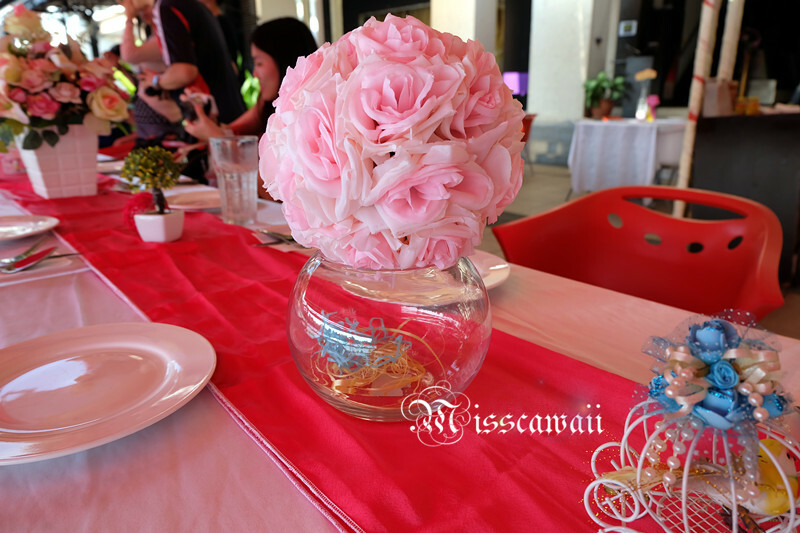 They do provide wedding and birthday celebration. 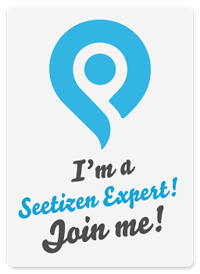 Do contact them for more information.